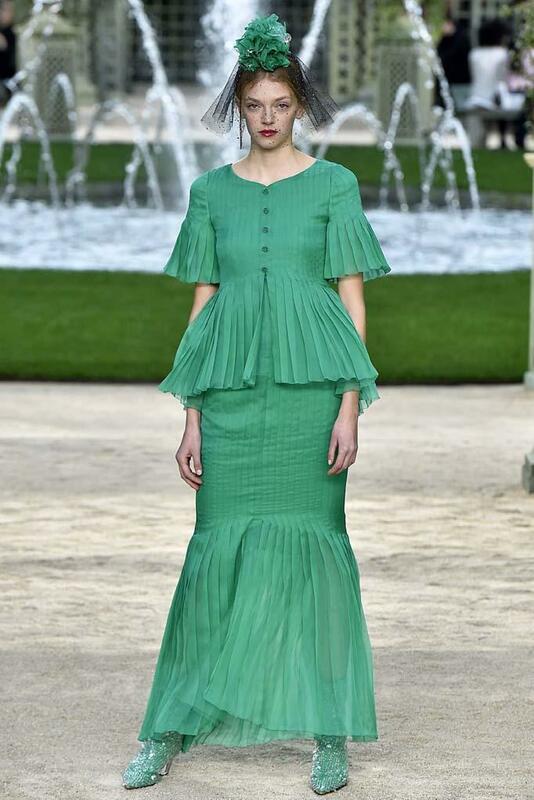 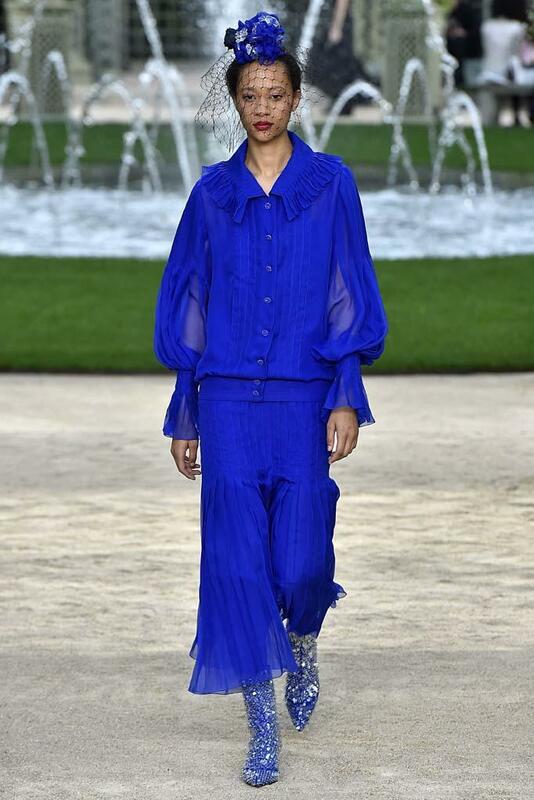 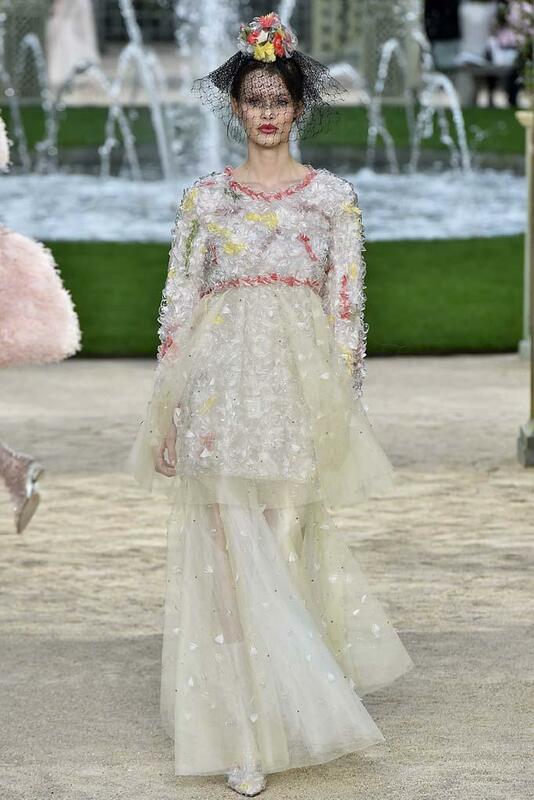 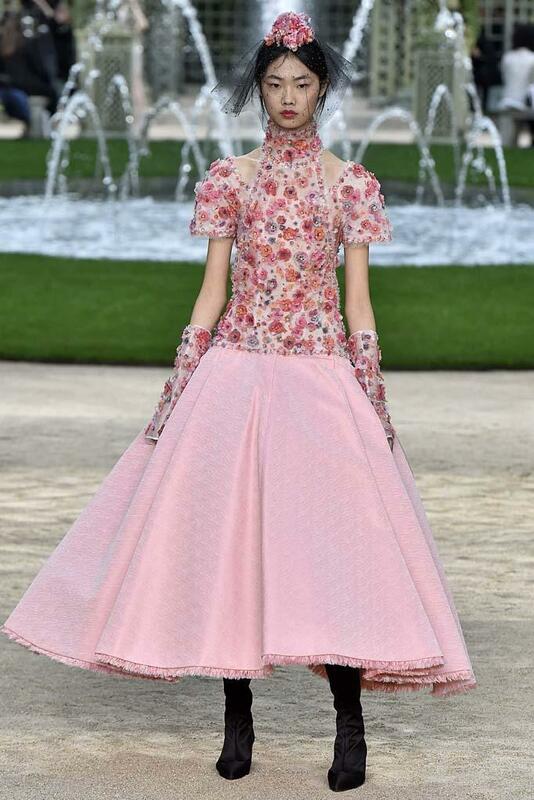 Karl Lagerfeld took to a Parisian garden inside the Grand Palais to showcase his couture Spring 2018 collection, making for quite the fashion fairytale. 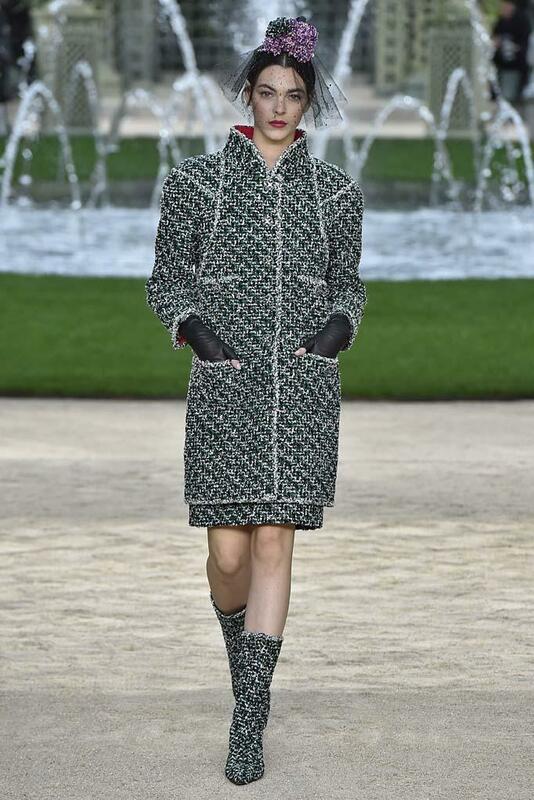 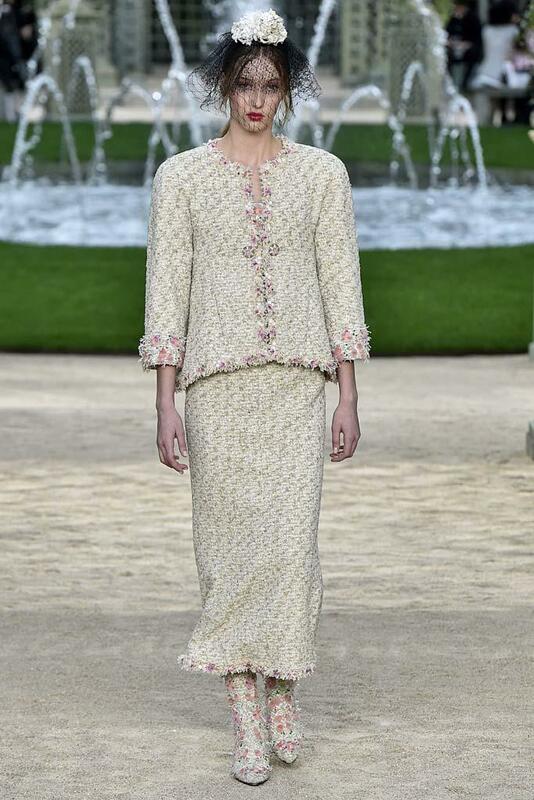 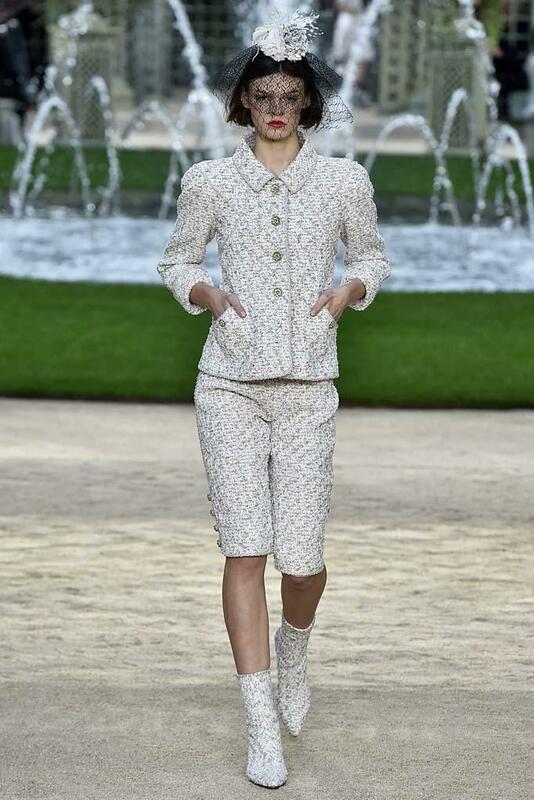 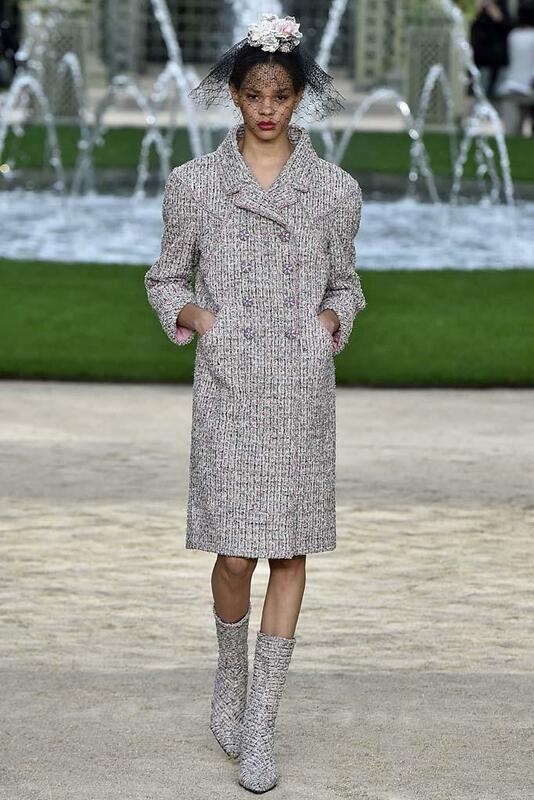 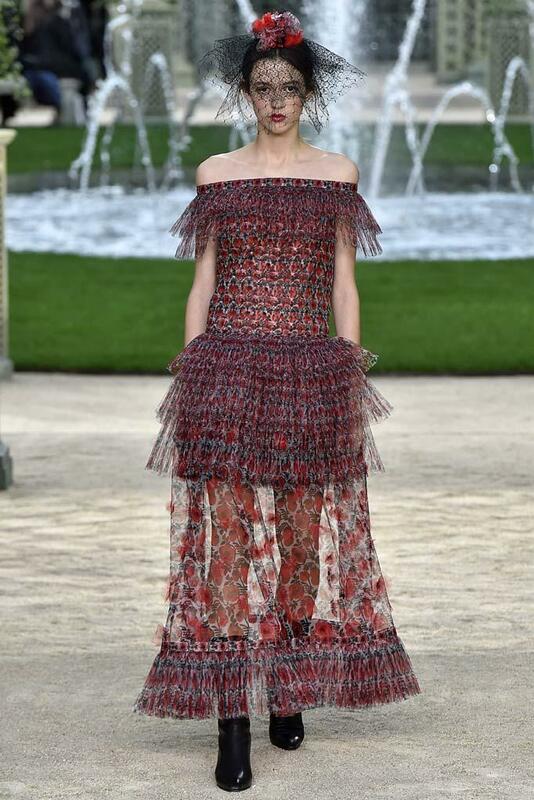 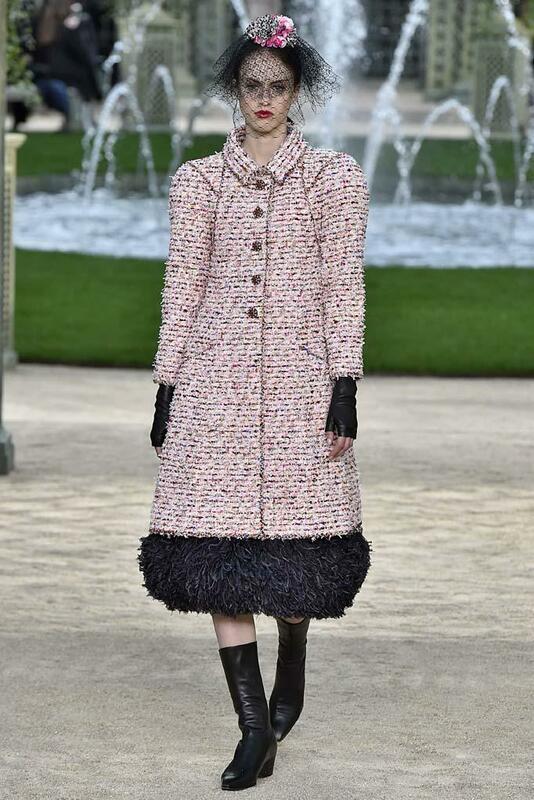 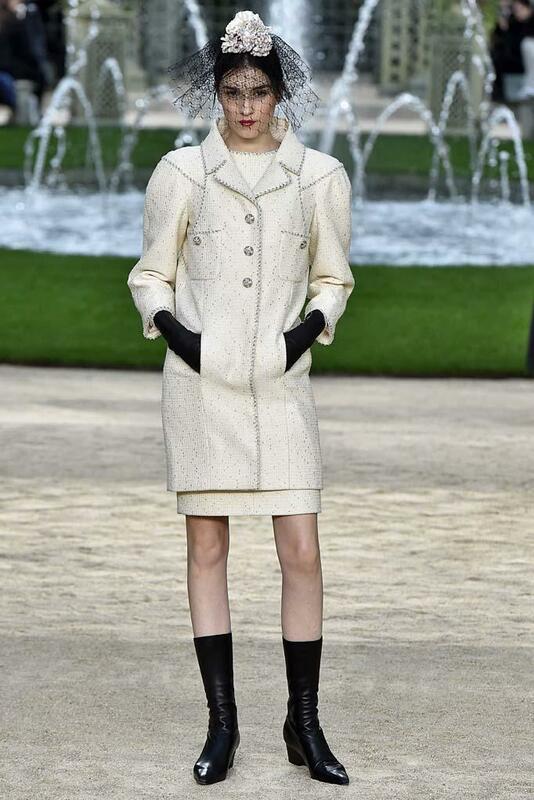 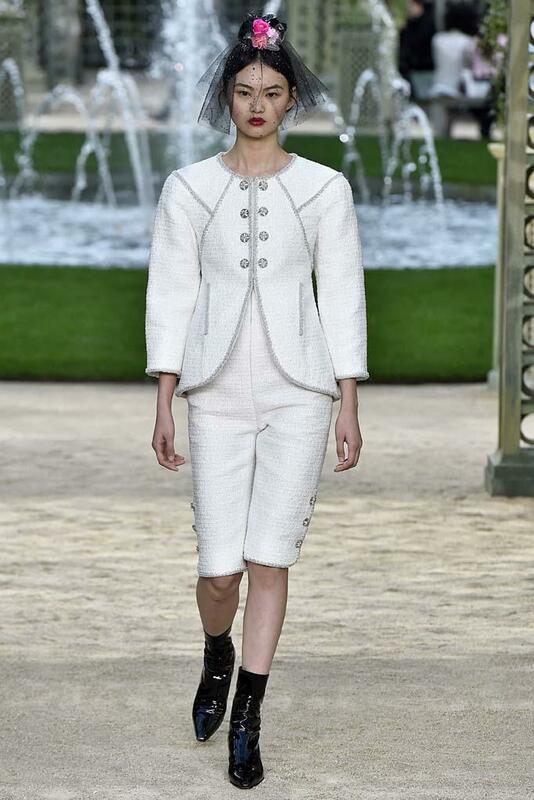 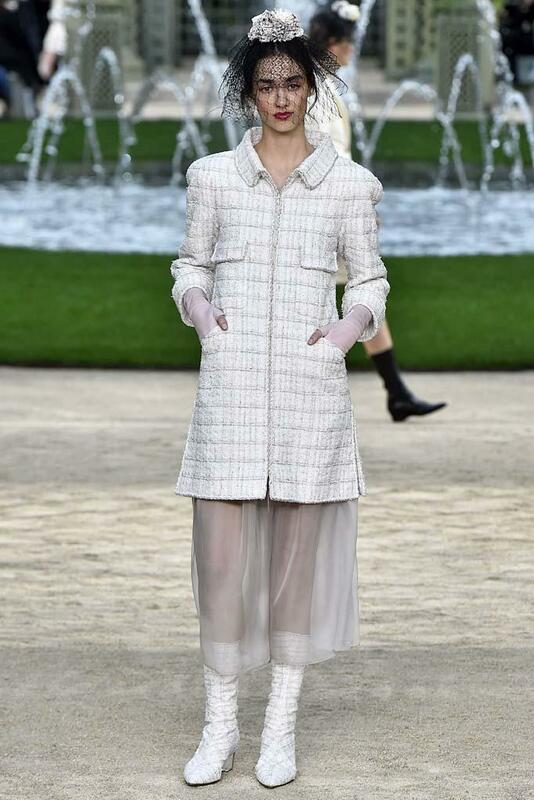 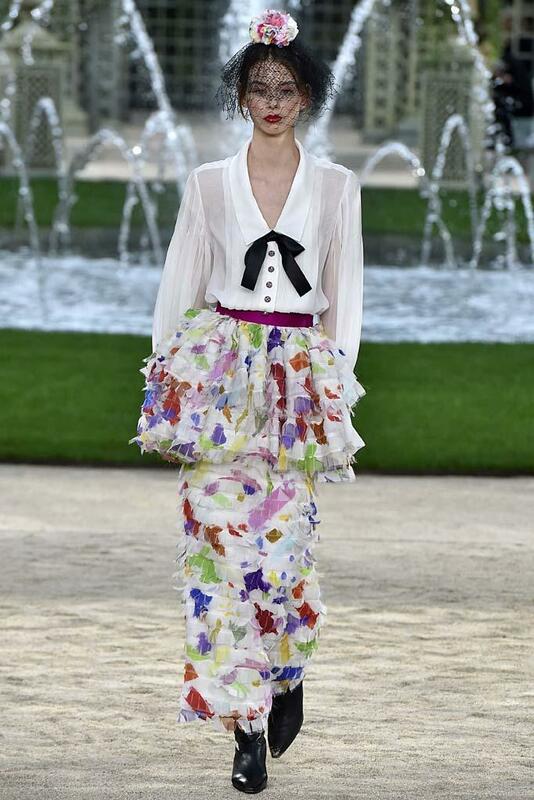 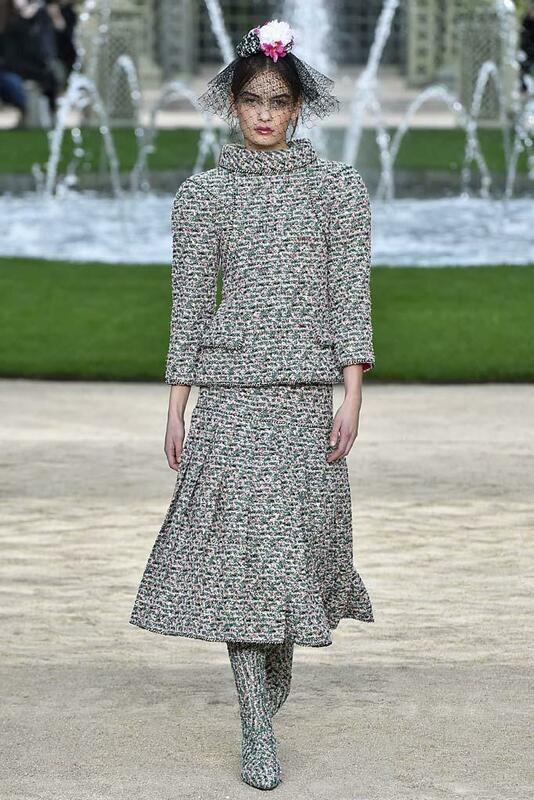 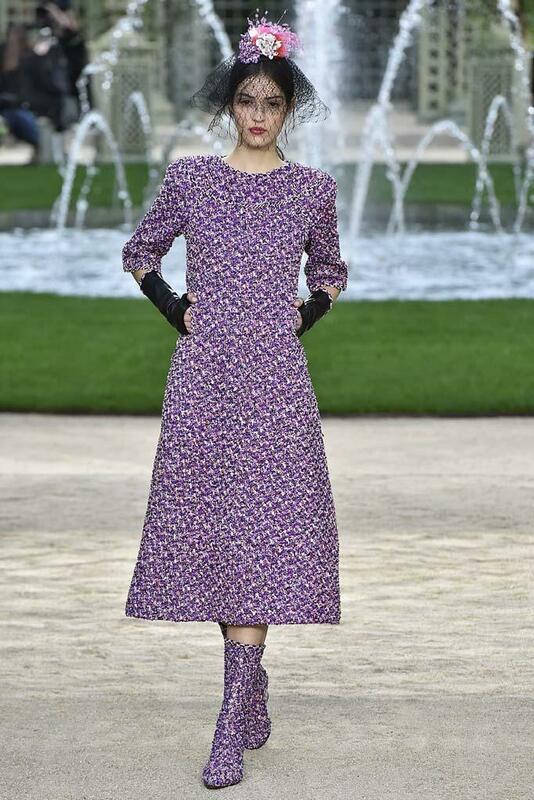 Instead of rocket ships and Eiffel Tower backdrops, this season, it was all about showing Chanel’s sweet side. 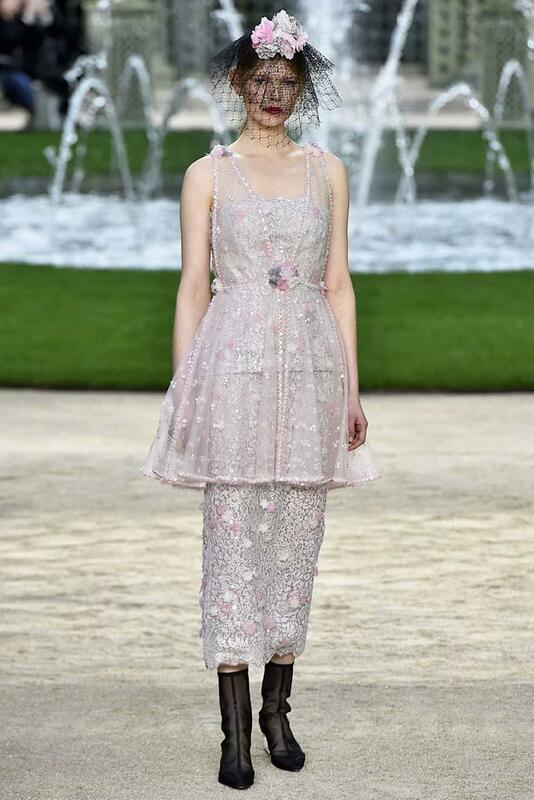 The venue featured a bubbling fountain, elaborate trellises, and around 10,000 English garden roses, transporting guests into a whole new Chanel world. 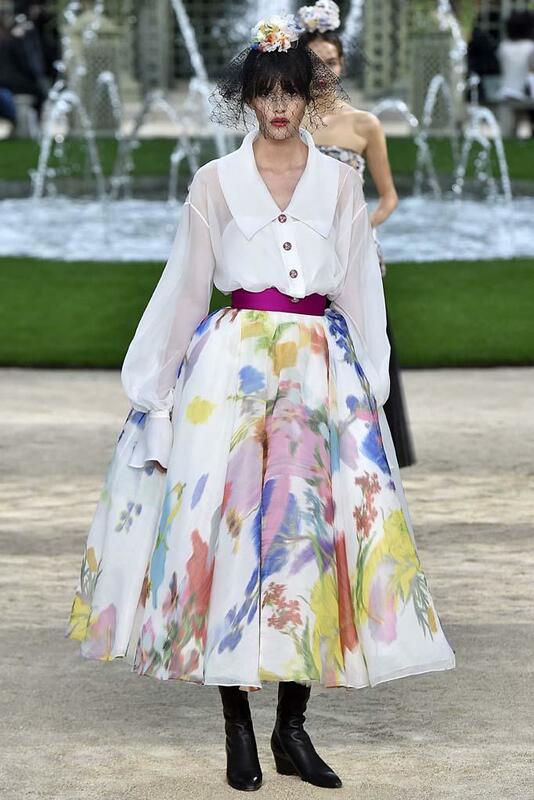 The looks were full of pastels and flower power moments with pops of vibrant colors, and each moment was topped off with models wearing a short black veil around their face (headpieces are a thing at couture this week!). 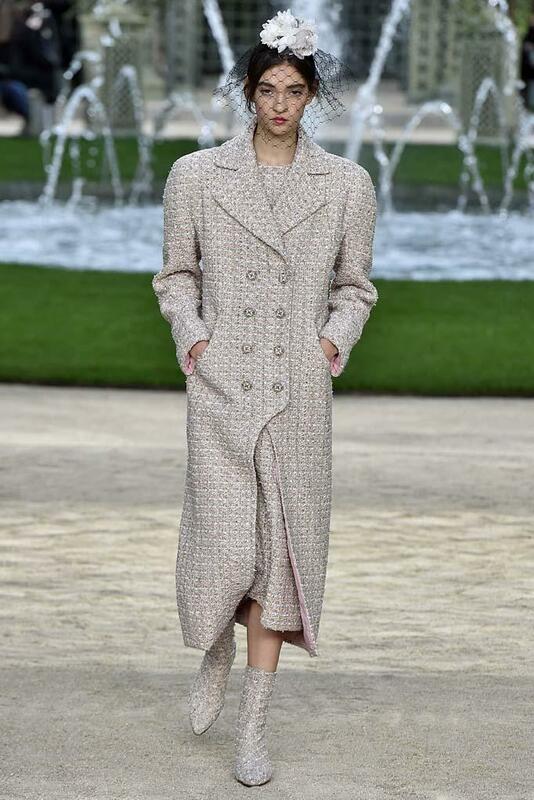 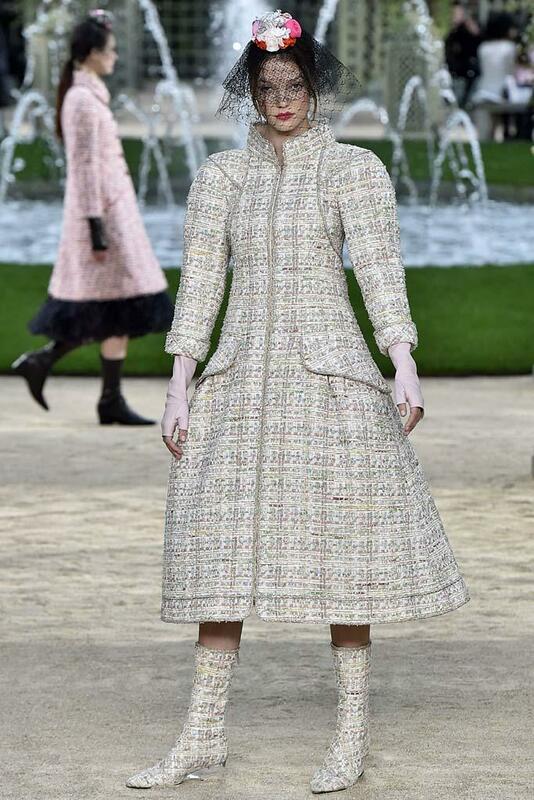 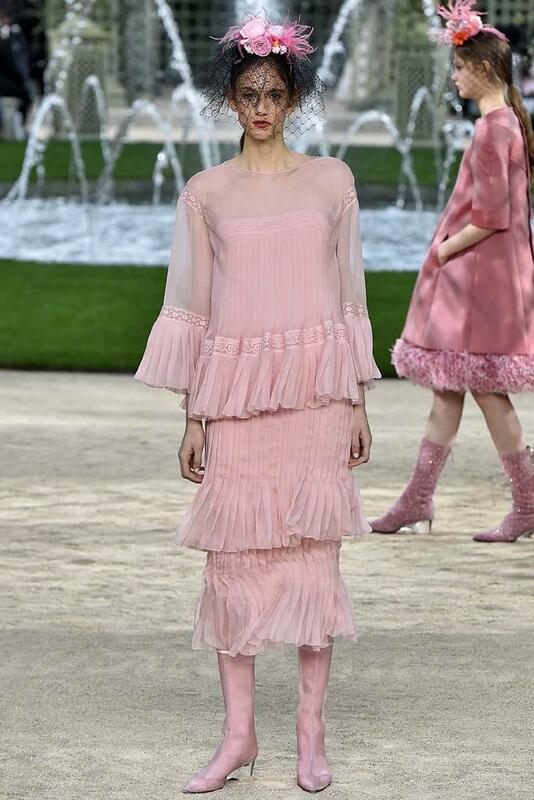 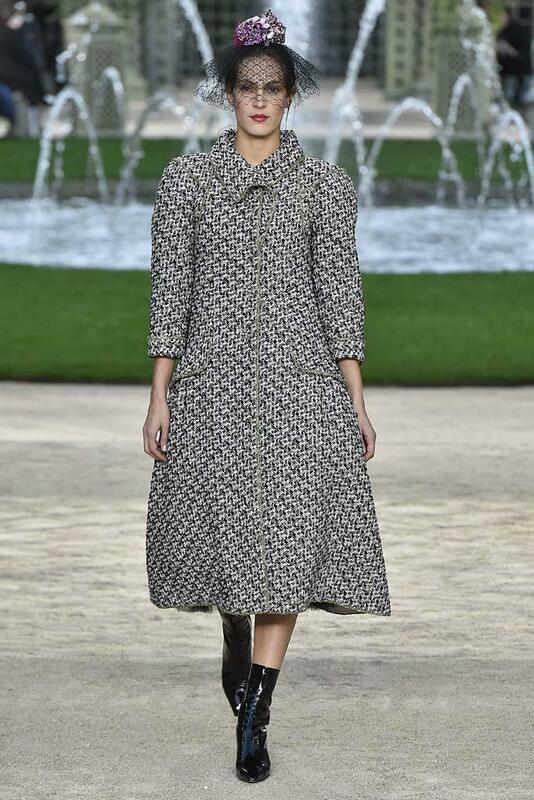 As per Chanel tradition, Lagerfeld’s runway girls donned classics like tweed separates in new color-ways, and a plethora of swoon-worthy accessories like transparent ankle boots with lucite heels. 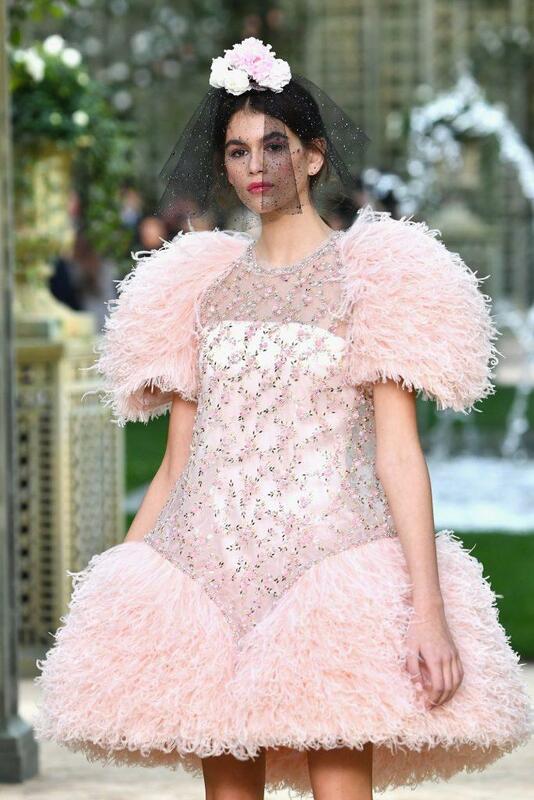 Other highlights included lots of sequins, feathers, and a range of ballet-pink pieces that are making us forget that it’s really winter coat season. 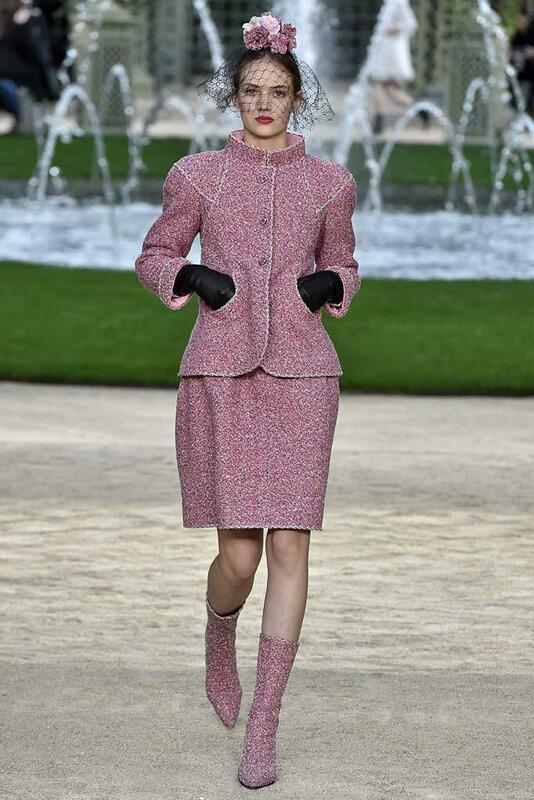 The show wasn’t just a major moment for Chanel—it was a big day for mod Kaia Gerber, too. 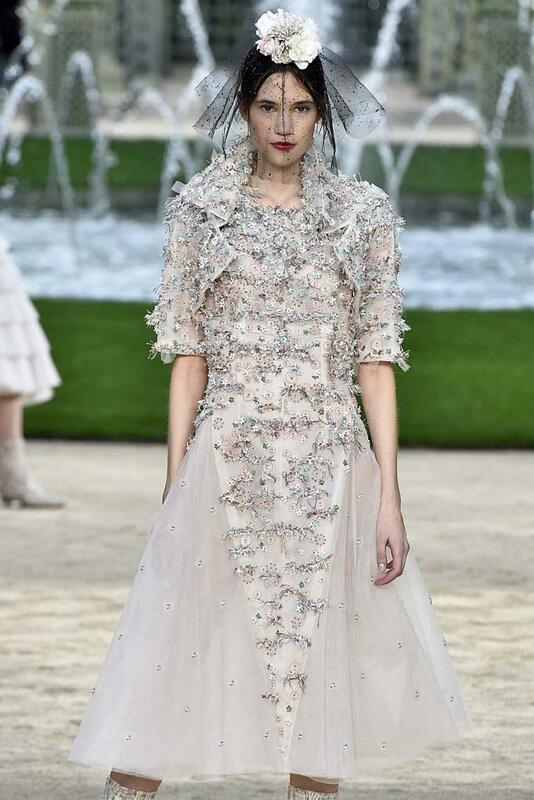 It was the beauty’s Couture Week debut at 16, marking her third runway appearance for the house.